Purchasing a property is incredibly exciting. Finding and securing the perfect home loan, on the other hand, can be daunting. The market is filled with home loan products in all shapes and sizes, each designed to cater to specific needs and requirements. That’s why so many buyers turn to mortgage brokers to ensure they gain approval for a loan that will be finically viable now and in the future. Put simply, a mortgage broker helps potential buyers like you discover a product that works. Whatever your budget, goals, circumstances, and aspirations, a mortgage broker can make the entire process fuss-free. In this article, we’ll share with you our picks for the top mortgage brokers in Queanbeyan and surrounds. Ready? Let’s go. Not sure where to start when looking for a reliable mortgage broker? Keep an eye out for the following characteristics. Extensive knowledge. The best mortgage brokers know the home loan industry inside and out. They understand the rules and regulations and can help you achieve an optimal outcome. Trustworthiness. You should be able to rely on the advice given to you by your mortgage broker. They should give you a realistic picture of what you can expect in terms of rates, loan amount, fees and other variables. A wide range of products. Your situation is unique. The best mortgage brokers have access to a product range with something for everyone. Dedication to their clients. At the end of the day, your mortgage broker should put your needs first. They work for you and not the lender. The following mortgage brokers are our top picks for the Queanbeyan region. Over the last 150 years, Bendigo Bank has helped more than 1.5 million Australians from more than 500 communities turn their property ownership dreams into a reality. And, they’d be more than happy to help you, too. The dedicated team behind one of the country’s most trusted financial institutions are equipped with the knowledge and expertise necessary to ensure you secure a loan that benefits your family for years to come. With specialist expertise and a professional attitude, the mortgage brokers at Clarity Financial Group know exactly how to assist their clients as they navigate the ins and outs of the home loan process. From start to finish, you can feel confident in your decision making when guided by the experienced and passionate team at Clarity. 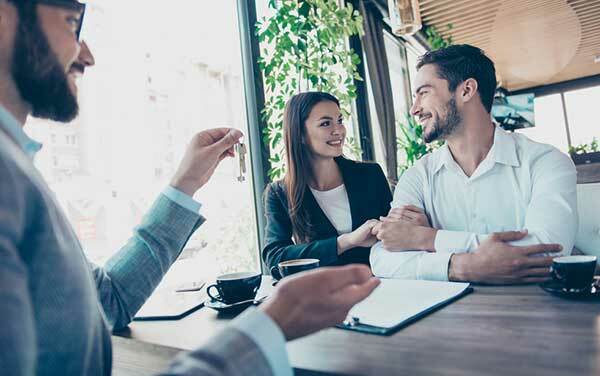 From pre-approvals for first home buyers to seasoned property investors and commercial loans, the team of quality mortgage brokers at Aussie can help any client find and secure a competitive home loan. With a streamlined three-step process, expect your experience with Aussie to be fast and stress-free. The team at Smartline will meet somewhere that suits you to discuss your home loan needs. From the very beginning until your settlement, you can trust Smartline’s competent mortgage brokers to guide you in the right direction. Thanks to our commenters who have provided insightful feedback on the best and worst Queanbeyan Mortgage Brokers. Have you worked with a mortgage broker to secure a property loan in the Queanbeyan area? How was the experience? Please, share your feedback with us and our readers in the comments area below.